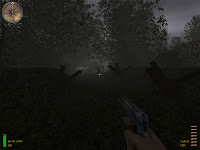 It is a single player map for MOHAA. I worked a lot with the AI part and the script.The map is fictional and the place is not historically accurate. I wanted to make a stage that has water, bunkers and chaos(like OMAHA).. 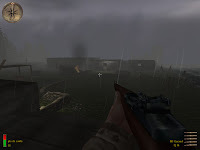 This is another really short experience straight forwar in a limited area main objective is to cross the river, enter the bunker area and clear everything and final face the cunter attack. Design is quite limited to some terrain two bunker and some small feature, there are no error (I may have missed them) and no highlight that is quite basic map.